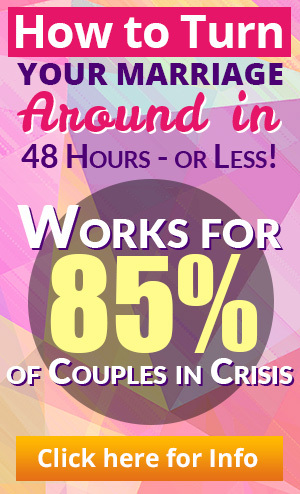 Learn how to recover from infidelity from this real-life infidelity story. Over the past 20 years, a lot of clients have come in for personal, one-on-one coaching and counseling sessions to try to be a step closer to recover from infidelity. In this real-life story from one of these clients, she talked about what went on in her marriage and how her husband’s affair affected her. I was very depressed before that it even got to a point where I sometimes didn’t leave the house for days. I was always focused on my husband – what his mood was going to be that day, how he was feeling towards me, how he was treating me. I mean, I’ve been working on it but it’s just really hard for me. He said that it was that that drove him to the affair. That it just got really hard for him to live with me that way. We’ve both been working on our personal issues and I’ve trying real hard to recover from his infidelity. We still live together but I haven’t really decided yet whether to stay in the marriage or not. I can see that he’s been making some changes as well, but I’m a little frustrated because they’re not the changes I wanted to happen. I realize, though, that I’m being unfair and that I haven’t even acknowledged his efforts. I just feel like I’m ready to move forward with my life, but I need more from him if he wants us to stay together. If he can’t do that for me, then maybe its time we go our separate ways, and I’m okay with that. I really believe that if we continue to go on like this that both of us won’t really be able to recover from infidelity — that we’ll just tear each other apart — and I really don’t want that to happen. I’ve forgiven him for the affair and I’ve asked forgiveness for my part in causing it as well, which I think is the first step for us to recover from infidelity. This experience has opened my eyes to a lot of opportunities that I didn’t see before, and I’m grateful for that. I’ve gone through a lot in my life and I believe that I ca do something good, that I can help other through my experiences, and I’m working on figuring out how to do that right now. I’m really excited to see where my life will lead next. 1. Take some time to reflect and examine what themes in your life come to the surface whenever you’re depressed. 2. Be specific on the changes you want from your partner. 3. List as least five factors that you think is holding you back from fully committing to your partner. 4. Make a list of your personal needs and mark down those that are really important to you. 5. Don’t forget to acknowledge the progress you’ve done. 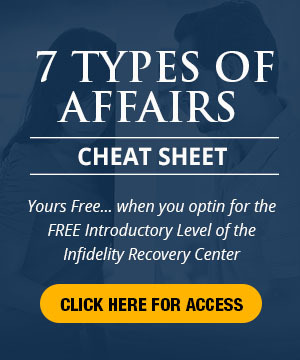 It isn’t easy to recover from infidelity, no matter what the circumstances are, but there are a lot of things that you can do that will enable you to go through it. This entry was posted in Infidelity Pain, Real Life Infidelity Stories, Relationship Communication, Relationships: Marriage, Surviving Infidelity and tagged affair, affair help, cheating husband, coping with infidelity, forgiveness, how to deal with infidelity, how to survive an affair, infidelity help, Infidelity Pain, infidelity support, marriage problems, recovering from an affair. Bookmark the permalink.